Trans visibility in American media seems to gain more and more traction every year. 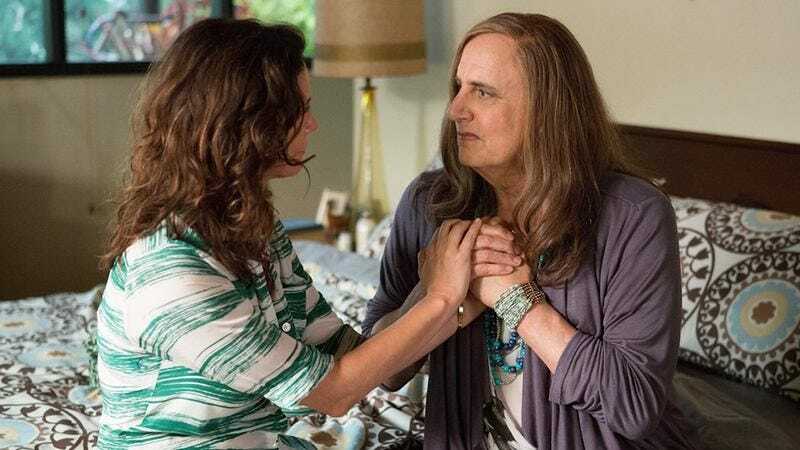 From Transparent to Orange Is The New Black to I Am Jazz, television audiences are warmly embracing stories about transgender people’s lives and everyday experiences—and judging by the numerous awards they’ve garnered, critics are too. Given the rate of progress trans people have made, though, I hope I might one day live long enough to see a TV show about trans people that isn’t critically acclaimed. While trans depictions in the media were once limited to harmful stereotypes, exploited as taboo, the fact that shows today have been approaching the subject with a level of Emmy-winning nuance and grace makes me believe that, in my lifetime, I might one day see a formulaic, critically maligned sitcom about a group of trans people. As I child, I never thought I’d see a show like Transparent on TV, but now, I may very well get to see a groan-inducing, uninspired show about trans characters that networks can consistently churn out and cancel before I die. Yes, incredible progress has been made for transgender representation. But until I see a trans-focused show that manages to score under 30 percent on Rotten Tomatoes, I will not be satisfied. Because, as we all know, real progress doesn’t happen overnight. Each time Laverne Cox wins a SAG Award, we get closer and closer to living in a world where the industry could invest in poorly crafted, undemanding trans projects that don’t get a single gushing write-up in every major newspaper’s year-end “best of TV” list. If we ever reach that point, a reality where trans performers are regularly winning Razzies in equal proportion to their straight counterparts may also be within our reach. A trans Chuck Lorre is out there, and if networks continue to give unheard voices a chance, they will eventually find him. It may not be this year, and it may not be the next, but the day we have the 2 Broke Girls of shows about trans people is the day we’ll know we’ve made it. Just to know that an inauthentic, totally forgettable exploration of what being transgender means in modern times is even a possibility, that’s all the fuel I need to keep fighting.